Chechnya-based pro-jihad website FiSyria reports on Thursday that members of Islamist faction, Jaish al-Muhajireen wal-Ansar have sworn allegiance to Abu Bakr al–Baghdadi, the leader of the Islamic State of Iraq and ash-Sham. According to FiSyria, Jaish al-Muhajireen wal-Ansar fighters who are from the North Caucasus region have not sworn allegiance to al-Baghdadi, because they have made a prior oath to Dokka Umarov, the leader of the North Caucasian Islamist militant group Imarat Kavkaz (Caucasus Emirate). FiSyria reports that the North Caucasian members of Jaish al-Muhajireen wal-Ansar are currently waiting for Dokka Umarov to agree to the oath. 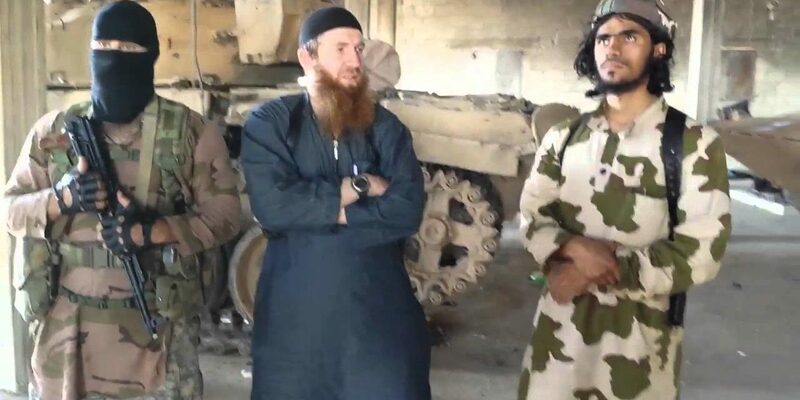 It is not clear whether the leader of Jaish al-Muhajireen wal-Ansar, the ethnic Chechen Abu Umar al-Shishani, is also waiting for the assent of Dokka Umarov or whether he has already pledged allegiance to al-Baghdadi. In addition to his role as the emir of Jaish, Abu Umar has also operated as the leader of ISIS’s northern branch. Baghdadi requested that Islamist faction Jabhat al-Nusra pledge allegiance to him, calling on the group’s leader, Abu Mohammad al-Golani, to join him. However, in response Golani issued a statement saying that he had not been consulted about the apparent “merger” between Jabhat al-Nusra and ISIS, and had only heard about it via the media. Golani refused to pledge an oath to Baghdadi’s authority, instead announcing that he was re-pledging his allegiance to Zawahiri. As a result of the disagreements, many Jabhat al-Nusra fighters left to join ISIS. The decision by the ranks and leaders of Jaish al-Muhajireen wal-Ansar to pledge allegiance to al-Baghdadi and to ISIS will strengthen ISIS, particularly if Dokka Umarov agrees to allow those of his own followers already fighting in Syria to also make the pledge to al-Baghdadi.